Dr. Jumadilova is an Instructor in the Department of Medicine at Nazarbayev University School of Medicine. She is a graduate with Honors from the Kazakh National Medical University in Almaty, Kazakhstan. A former recipient of Presidential stipend for excellence in medical education and the international scholarship “Bolashak”, she also earned a Master’s degree in Public Health from the University of Georgia in Athens, GA (United States). 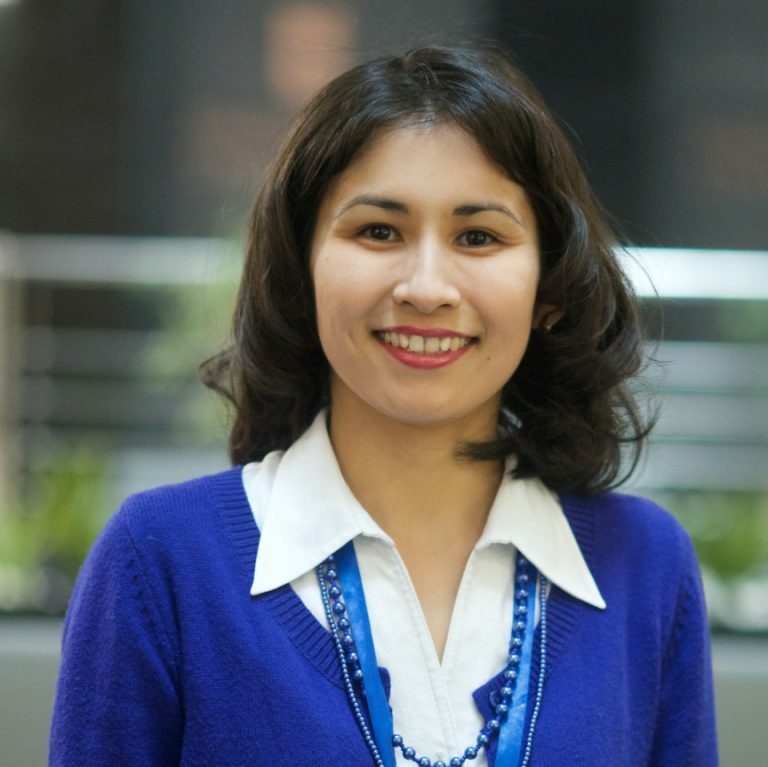 In 2012, as a graduate in the field of public health, Dinara Jumadilova was invited to participate in the 50th Graduate Study Program of the United Nations Office at Geneva (UNOG, Switzerland) to address the emerging global issues “in the world of 7 billion”. In recognition of her active participation in this program, she received a certificate from the Director-General of UNOG Mr. Kassym-Jomart Tokayev. Upon return to Kazakhstan, Dr. Jumadilova worked in the area of healthcare quality for “American Gulf International”, a US-based organization, as a Project manager on preparation of three of the six hospitals of the National Medical Holding (Astana) for Joint Commission International accreditation. After successful completion of the project, Dr. Jumadilova enrolled into a residency program in Diagnostic Radiology at the National Research Cardiac Surgery Center in Astana (Kazakhstan). During her residency training, she received a prestigious scholarship from the European School of Radiology to support her subspecialty training at one of the Europe’s top educational facilities in Neuroradiology – Centre Hospitalier Sainte-Anne in Paris (France) under the guidance of Professors Jean-François Meder and Catherine Oppenheim. Dr. Jumadilova’s past experience of living in France and exposure to French culture helped her adapt very quickly and serve as a full-time resident working in French language, interpreting radiology images, presenting cases at clinical conferences and communicating with patients. Along with the described above activities, she attended numerous specialty-related conferences and master-classes, among which are Journees Francaises de Radiologie 2014, SFR (Paris, France) and the Scientific meeting on Cardiac Imaging 2014, ESCR (Paris, France). Dr. Jumadilova’s diverse and dynamic background demonstrates her openness and commitment to change, which is valuable to the rapidly developing NUSOM’s environment. 1. R. Souillard-Scemama, M. Tisserand, D. Calvet, D. Jumadilova, S. Lion, G. Turc, M. Edjlali, C. Mellerio, C. Lamy, O. Naggara, J.-F. Meder and C. Oppenheim. An update on brain imaging in transient ischemic attack. Journal of Neuroradiology, 2015-02-01, Volume 42, Issue 1, Pages 3-11, 2015. 2. Д. Джумадилова, И. Тлеулесова. Первый опыт применения технологии мечения лейкоцитов 18-фтордезоксиглюкозой для радиоизотопной диагностики злокачественных и воспалительных заболеваний // Сборник международной научно-практической конференции молодых ученых. Астана, 2014.